Place cards in a pile face down. Kids pull a card off the pile and flip it over. The player with the larger fraction wins and takes one of the color paper rainbow strips. 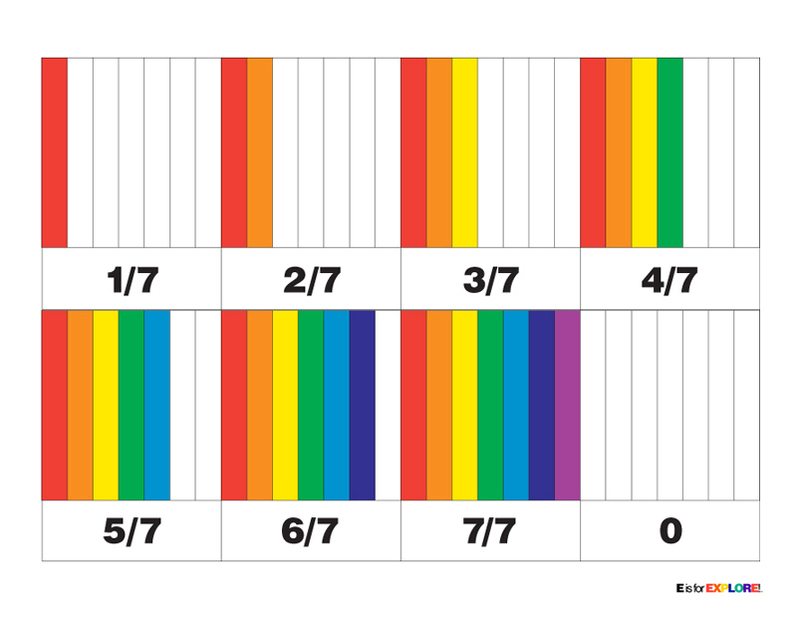 If a player has a gold coin, the gold beats the rainbow fraction, unless the card has a full rainbow (7/7). The player with the gold coin take the number of coins it says on the card. No one gets a rainbow strip. 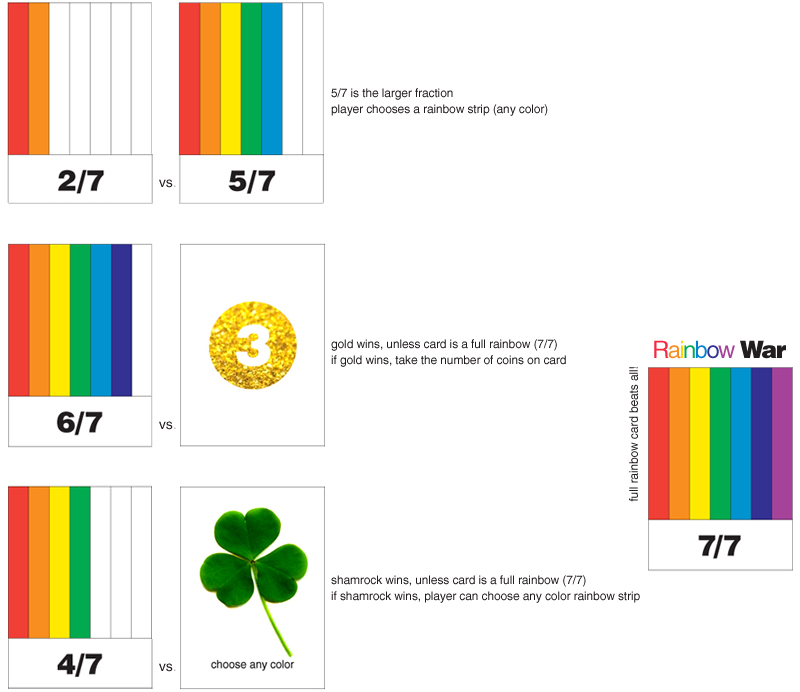 If a player has a shamrock, shamrock beats a rainbow fraction card, unless the card is a full rainbow. 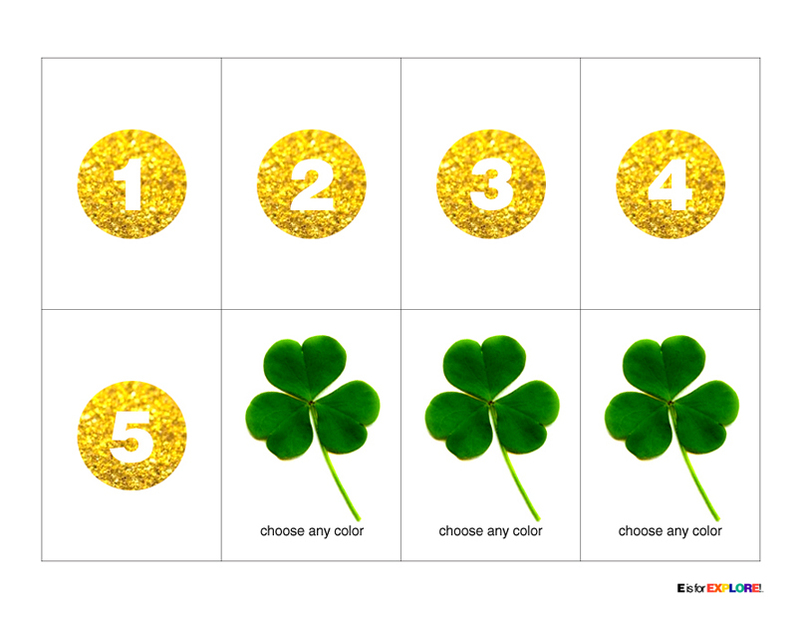 The player with the shamrock chooses any color rainbow strip. There can be two winners of the game. The goal is to collect all the colors of the rainbow (each rainbow strip). The other way to win is to collect the most gold coins. Players can't count their coins, until someone has collected all the colors of the rainbow. Free printables below, print more than one of each sheet for a longer game. Drag images to your desktop to print.